The wife of fallen political star Bo Xilai, Gu Kailai, is a prime suspect in a murder. It’s a tumultuous transition year. 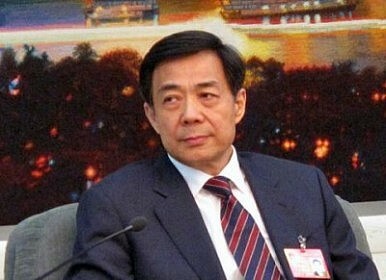 The political calm that traditionally attends a succession year in China has gone from fractured to shattered with Wednesday’s announcement that disgraced Politburo member Bo Xilai has been removed from his remaining posts and is being implicated in a murder. Bo’s career ended about a month ago with removal from his main role as Party chief of Chongqing, but the latest news closes off the possibility of a quiet exit – the Communist Party’s leaders have evidently decided that his downfall will be very final and very public. In separate news releases (translated by China Media Project), the official news agency Xinhua reported that Bo is to be removed pending investigations into “serious violations of discipline” and that the death of British businessman and Bo family retainer Neil Heywood will be treated as a murder, with Bo’s wife, Gu Kailai, a prime suspect. Jeremy Page’s reporting in the Wall Street Journal details the accusations. Execution, a frequent outcome in high-profile corruption cases, now seems like a serious possibility for Bo’s wife and even Bo himself. With Beijing scrambling to prop up its legitimacy in the wake of Bo’s ouster – rumors from the Hong Kong press talk of efforts to ensure the People’s Liberation Army’s loyalty and infighting at the leadership compound at Zhongnanhai – it’s surprising to see the embarrassing case publically attached to a sensational murder. It’s possible that there is still disagreement over the handling of the case at high levels, and the murder accusations have given Bo’s enemies a headshot. But also, as Evan Osnos suggests, all this suggests that Chinese leaders are determined to control the country’s biggest political story in years, and have learned that in the age of Weibo, the only way to handle the rumor swarm is to feed it. China’s Top Procuratorate Opens Criminal Case Against Sun ZhengcaiGu Kailai Trial Ends With Suspended Death SentenceZhou Yongkang’s SuccessorBo and the Kingdom of RumorsBo a Sign of Power Struggle?